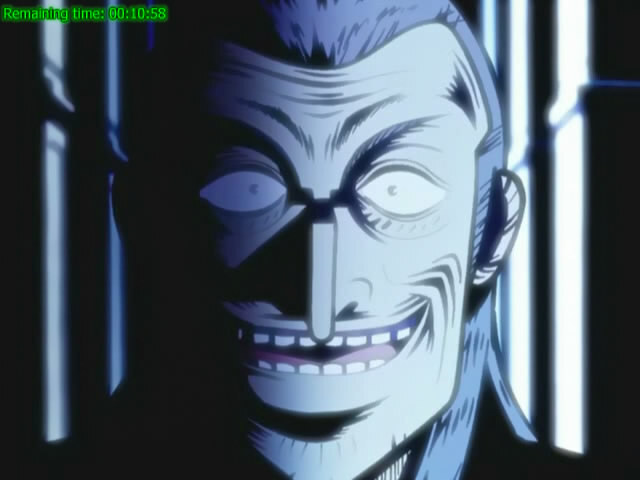 From the creator of the excellent Kaiji series, come another proper thriller anime titled Akagi (he actually wrote this one first before Kaiji). 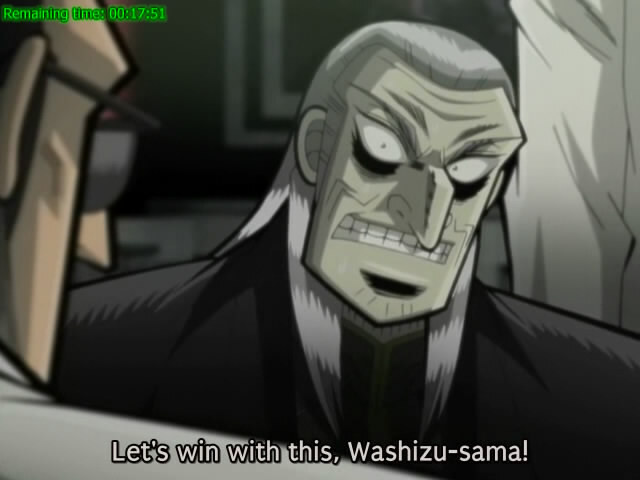 Unlike Kaiji which is basically a darker and deadly version of Wipeout Australia, Akagi is a mahjong anime (kind of like Saki). Therefore, this anime will be subjected to the sport genre handicap. 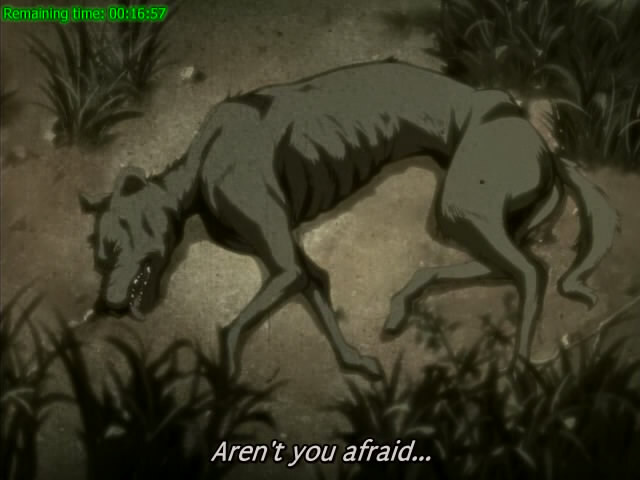 This is a 2005 anime, thus none of the ‘Anime of the Year’ title holders will be challenged this time around. During the era of reconstruction right after Japan’s loss in World War 2, a desperate man is betting his life in a mahjong parlor in a rainy night with the local yakuza. On the verge of defeat, suddenly a drenched middle-schooler barged into the mahjong parlor. Sensing something special about the white-haired student (I told you white-haired people are evil! ), the desperate man asked him to play mahjong in his stead, and everything started from there on. The story in this anime is almost non-existent, but the mahjong games in this anime are intense, complex, very deep and mesmerizing. And that’s about it with this anime. The games are more realistic with the players getting more normal hands unlike in Saki where its players gets rare hands far more often. The protagonist especially is really skilled at getting hands that cannot be anticipated by his opponents or getting them to do what he wants, and he usually achieve that using mind games, deceptions (this guy cheats quite often), phenomenal calculating abilities, psychological warfare, abnormal strategies and sheer luck. Add them up to his charismatic, cool and calm persona, the protagonist is a very good template for a manga/anime character specialized in mind games. If only Lelouch Lamperouge has his ability, the Code Geass series would have easily gotten a perfect score. And he is just as good as Kaiji or Kaiser Reinhard or Yang Wenli, probably even better than them. The flow of the plots during the games are excellent, which more than adequately covered for the lousy story transitions when not in-game. The presentation of the games is top-notch, with gazillion of monologues from the players, the spectators and very helpful commentary from the narrator that explains the strategies used in the games and their ramifications. Because of the narration, this anime is more accessible to mahjong n00bs than Saki (the fansub group also helps explaining the scoring system used in this anime, which differs than the ones used at my localities). Character developments is basically scarce, applies only to the main protagonist, and mostly done before the first time jump. Most of the main protagonist’s developments happened in the games played before the first time jump, with more off-screen developments during the two time jumps this anime before we get the (assumed) final fully developed character for the final game. BTW, the title main protagonist is definitely the best character here (as if you have any other options). Unlike Saki, there are no metaphorical exaggerations in this anime, and of course far less flashbacks (they are nicely done). Some of them appears during the final game though, see the screenshot below. The ending is neat and tight, with some loose ends purposely left in ambiguity. Although I hoped that a second season will arrive, I do not think one will come. This metaphor may be ugly, but it was relevant within the context of the scene where it was used. My comment from the same section in my Kaiji review applies, after all, the same person is responsible for this anime too. It is also interesting to note that there are virtually no female characters anywhere in this anime, even on the background. Definitely a positive point for this anime. Most of the dialogues comes from spectators, gobsmacked by the crazy turns the main protagonist is taking. My comment from the same section in my Kaiji review still applies. 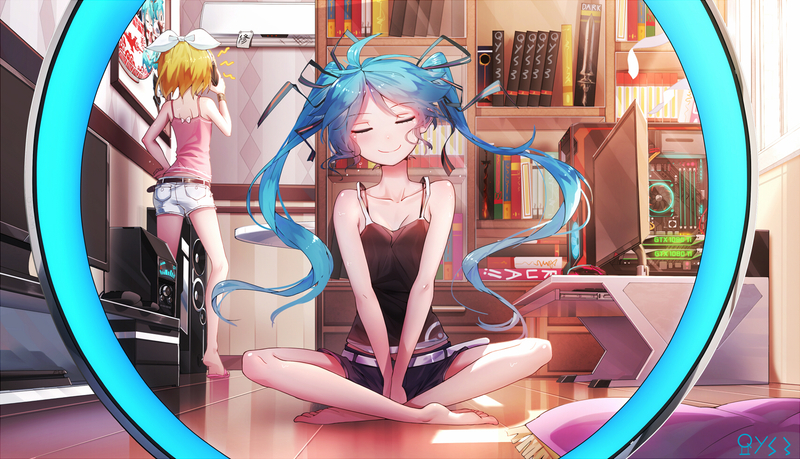 The main protagonists in both anime are voiced by the same person, with the same level of performance. The only difference between these two anime in this aspect is that the main character in this anime speak (or being in monologues) far less than his counterparts in Kaiji. In fact, the narrator and some of the recurring characters that acts as the spectators may have far more lines (after all, they like to doubt the crazy strategies the main character deployed in the games he plays). Definitely a positive point for this anime. 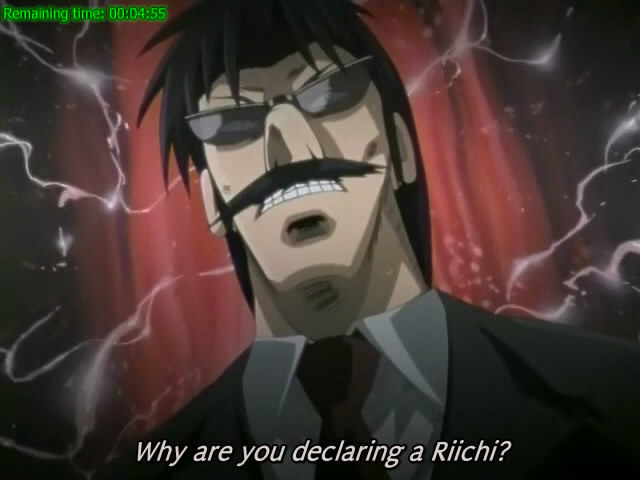 Your typical antagonist that is common in any shounen titles. 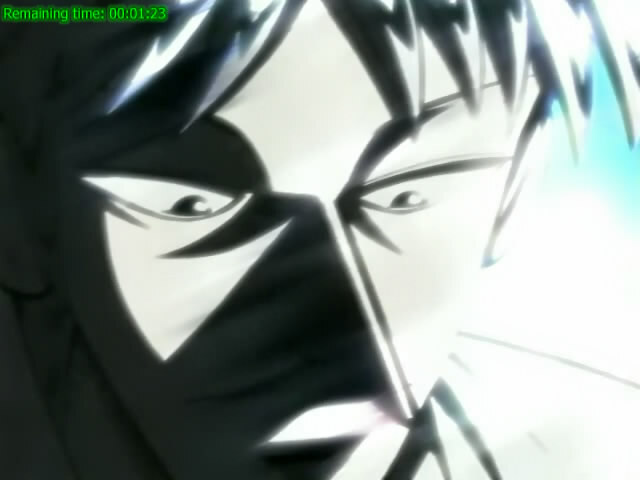 Unlike Kaiji, the OP theme and the hard-hitting two ED themes are excellent. The jazzy OST are sparse, but they are good too. Definitely a positive point of this anime. The animation quality in this anime is quite good, even in the little fast-paced scenes this anime has (I will put the blame on camera panning problems upon the shoulder of the encoder). Choreography in this anime is decent in the few fighting scenes this anime has. The directing is good for the things explained in the story section. 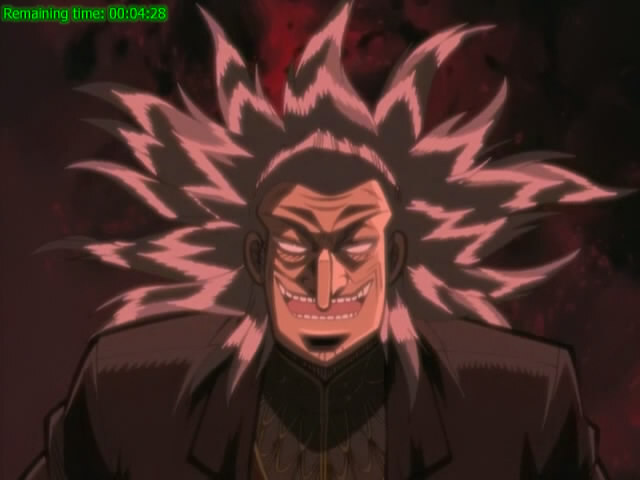 And the antagonist will not be complete without evil laughs and creepy hairs. Despite the sport genre handicap, this anime will get a 10 out of 10. Although if I were to compare this anime to Capeta (which incidentally is also a 2005 anime), this anime will come short. Capeta is, after all, is one of the best anime I have ever watched and has far better story than this anime. This anime is good enough to depose Uchuu no Stellvia from my Top 5 Anime of All Time list though, taking the spot number 4 currently occupied by Galaxy Angel series. Galaxy Angel is now number 5 in the same list. The antagonist would have easily vanquished the protagonist if he have read that website! He should listen to his underlings' advice more.